I would imagine that he will be searching for some new and particularly tortuous methods of drilling the message home before Scotland head to Twickenham in two weeks, but there’s a growing sense that perhaps it doesn’t matter who the coach is at this level, are we just paying for a lack of development talent earlier in their careers? Sure, you can teach them to kick a ball nicely, but shouldn’t a professional rugby player appreciate the importance of a safe touch from a penalty when your team is under the cosh? Taken in the abstract away from the big-game hype, it’s hardly a new situation. With all but eight players released back to their clubs this week, it will be interesting to see if there is any noticeable difference to the Scotland squad when it reconvenes next Sunday. Cotter gained praise early in his stewardship for picking the players on form, and there is a spectrum between grudging admiration and puzzlement for the way in which some of the old guard (Al Kellock, Kelly Brown, John Barclay et al) were swept aside in favour of talented youngsters who were not yet used to losing. 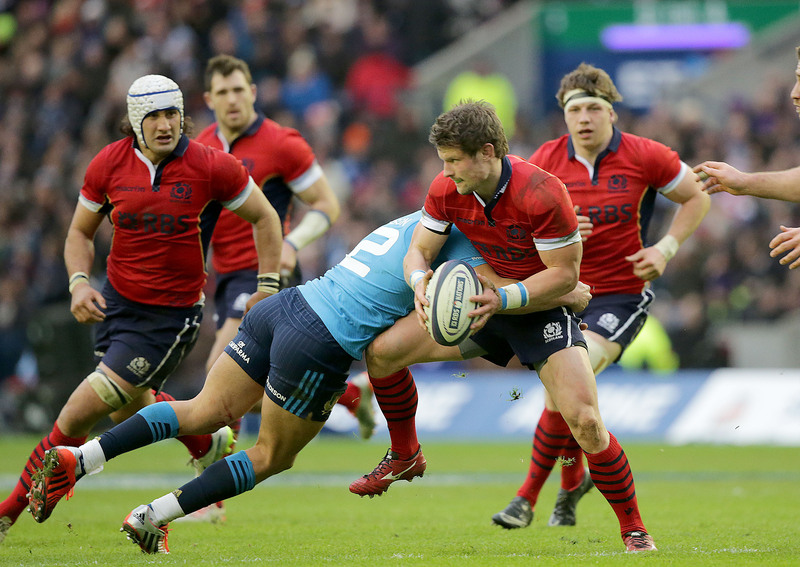 However, Ross Ford and Greig Laidlaw are clinging on despite not showing the November form that gained them a reprieve. Dropping your captain (and his likely deputy) mid tournament may be rash, but on the other hand if we are building for the future, is there really any point in keeping them around till after the World Cup and suffering another six months of this? If you need their skills or leadership in camp, stick them on the bench or make them water carriers; the Wooden Spoon is all but in the bag and we’ve not seen enough skill and leadership from either this tournament to justify continued starts. 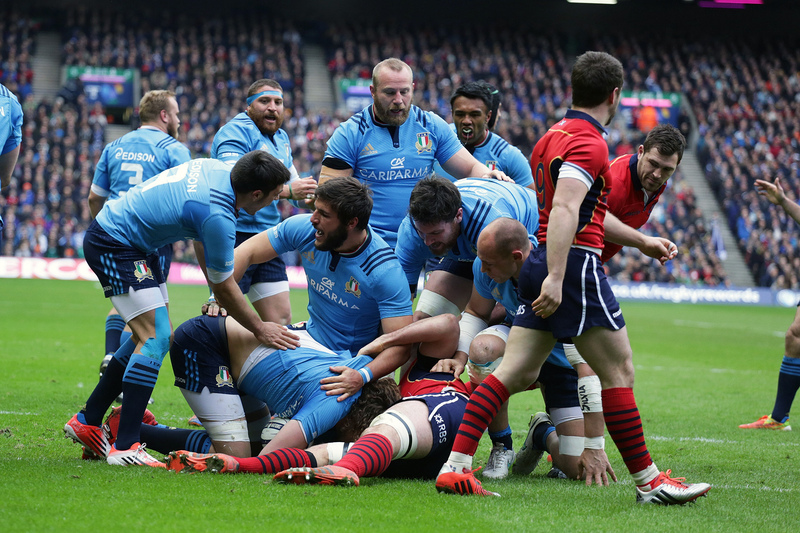 After Mark Bennett bagged a quick interception try moments into the Italy match on Saturday, Italy hit straight back with a rolling maul, grabbing a try in the process. Luckily for Scotland they seemed to forget how successful this was almost immediately and the game resumed its fast and loose pace. They were quite likely reminded of it at half time, whereupon they reappeared and mauled Scotland to despair, especially in the last quarter when the home side were powerless to stop it, either through lack of fitness or lack of preparation. With the powerhouse pack of England to face in two weeks time, and no lesser a threat from the Munster-driven Ireland pack the weekend after – who may yet be hunting a grand slam – the Scottish forwards will need to rediscover the tenacity they showed in the Autumn very quickly, or it won’t matter how talented the back division is, opposing teams will keep the ball till we cough up a penalty, and run lineout after lineout at us from the corners. The end of Scotland’s Six Nations campaign promises yet more misery if these basics cannot be addressed.